We work together every day to do important work. But today, we want to accomplish something even more meaningful. The Red Cross has to collect 15,000 blood donations every day to have enough blood to help patients in 2,700 hospitals and transfusion centers across the country. That’s a lot of patients in need and all of us, coming together, can help ensure patients receive life saving blood. That could be you or one of your relatives one day, who knows? Let’s help each other, give with a caring a heart and live great lives. So SleevesUp and help us reach our goal. Make and keep an appointment to give blood to the American Red Cross. 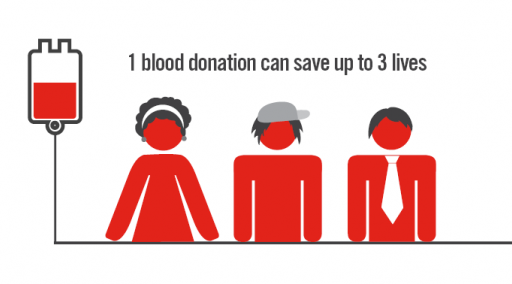 The blood drive will be held on Saturday June 30, from 9AM-2PM. The location is 520 West 49th Street NY 10019.